If you aren’t tracking, you might as well be fumbling around in the dark. To be successful in anything, you need to know what’s going on. That’s why professional bodybuilders have logs of every workout and every calorie consumed. Or why Ben Franklin made his own habit tracker, or why Kobe Bryant tracks the number of shots he makes and doesn’t leave the gym until he hits 800. These people don’t go willy nilly on their goals, they track, and they succeed. So let’s apply this logic to a SUPER EASY system you can use for SEO to understand what’s going on with your sites & track your success. There are a bunch of ways to do it depending on the metrics you want to track, but one way or another you need to be tracking your results. If you are reselling to clients, you don’t necessarily need to show them everything, but you’ll want to have it all at least for yourself. Once you do this, you’ll have a record of every single change that you’ve made to the site. This example image just shows link building, but if I change the title tags, add content, etc., I put that in there too. When I look at analytics and ranking changes, I can see what may have had an effect based on the time that I did it. This allows you to see what works, how long the effects take, and discover what doesn’t work. Also, if something goes bad, this can help guide you to what happened. The second thing you’ll want to track is where your website ranks for individual keywords in Google. You can automatically track your historical keyword rankings with our Rank Tracking tool, HOTH Rank Tracker! All you have to do is plug in the keywords that you want to track and your website address and it will keep track of what position your website is in for each keyword over time. It will spit out nice looking charts like this one! 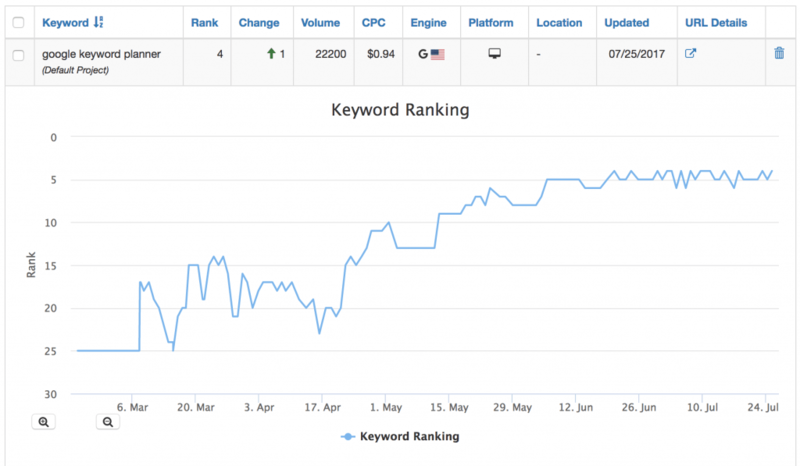 By tracking your keyword rankings, you’ll be able to see if you’re improving or not. You should also measure traffic changes to see how many people are visiting your website over time. I use Google Analytics for this, but you can also use Clicky as an alternative. These are the basic tracking that you’ll want to do to start out. If you cover these 3 things you’ll have a good solid base for what’s going on with your sites, know where you’re seeing results, and easily see where there is more work to do. some new tools there, I need to try it. 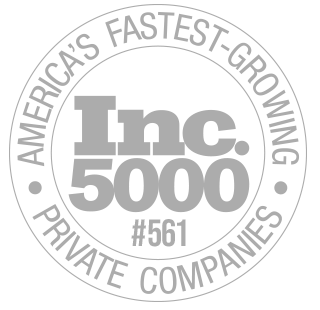 Thank – You guys for being awesome! Thanks for the info. But I generally use SEO Powersuite Rank Tracker to analyze where my keywords rank..the best part is I no need to pay them based on number of keywords I search. Great article on tracking. I must admit that if it wasn’t for tracking I wouldn’t have chased down what caused a site from taking a dip. It’s a bit more of a chore but it also a security blanket plus give you the data for your clients as well. Funnily enough, I just this afternoon, noted my purchase of Hoth Boost and will over the next few weeks, see what new links have appeared. Like Abhi above, I have been using the free version of SEO Powersuite for quite sometime and have found that it works reasonably well for my needs. Thank’s for the additional sites and tools which I shall look into shortly. Trying to tie your actions to a ranking change is extremely difficult. Google has a really big index with lots of moving parts. Usually takes a few weeks for anything you do to have an effect. Still a good idea and lots of insights can be gleaned. I would suggest adding columns to track if the links are still alive after certain days. I love Clicky. It is free as well as fast and very useful. Thump up to The TOTH team. Your blog articles are so useful that I spend 2 hours every day reading them and taking actions and Google rankings for my 20+ websites have greatly improved with traffic and sales conversions coming in daily. Thanks so much for giving us free valuable content. Thanks guys. Great tips here. I have a giant Excel spreadsheet I use for tracking and am a big fan of Serpfox. HOTH is best For link building really it works alot to me THANKS THANKS SO MUCH HOTH ! ‘If you aren’t tracking, you might as well be fumbling around in the dark.’ Very true, first thing we do is track keywords before we start a project and then we have a starting point on which we can measure our progress. Good keyword rankings tools should also give you monthly search traffic counts per keyword so you can find out which keywords are the most profitable, I find when you start using keyword tracking tools it also gets you into the habit of researching alternative keywords too. only did i know i havent been tracking one of my sites. I have always wondered what tool you guys use to track keywords rankings. If I use paid ranking tool then it gives you different ranking report as compared to Google Webmaster Console. So which tool give you correct information Google or Private tool? We suggest using both, they give different information. Great what you can do with a simple excel sheet. Very helpful in keeping the project organized and allows you to see exactly what you have done with the links. I plan on implementing the tips. I used to track my links like you are suggesting in this post, but that’s actually not really necessary. You can find them easily in Google Search Console. Thanks for the tip! We recommend both methods even though we didn’t include Google Search Console in this post. It’s up to your own organization preferences! The HOTH’s blogs are always helpful. Thumps up! Be great if you created a download link for the links spreadsheet or shared it out via google docs. Lead Magnet Time! Doesn’t this assume that Google immediately responds to changes to the website, which is not the case for many sites? In reality, if Google only crawls my site, say, once every couple of weeks, I would assume that it only sees changes to the site over that interval. So, if I introduce a change that would blast me right up the rankings, and then another that drops me by even more, I wouldn’t see the positive change unless Google happens to crawl the site in between the modifications, surely? Yes, Google always needs to crawl your site to see the changes you’ve made (as well as the whole internet for backlinks), but if you update your site often, then Google may crawl it multiple times per day. With that said, Google still can take weeks or months to show the effects of links that you’ve created.